It is true to say that in today’s ‘uneasy’ world any trip to a foreign land should be treated as a military campaign, and as such – should be planned accordingly. Now, whereas the logistics of it all can be placed safely in the hands of a travel agent (there is nothing these establishments cannot do or arrange for you, as long as they are paid), there are some aspects of what I call ‘culture travel’ that may become spoilers later, if not identified earlier. After all, forewarned is forearmed, even in such an innocent enterprise as a trip to Russia. Without claiming originality or any innovative know-how, this short list of Russians’ top peculiarities will hopefully find its uninitiated readership. It would be stereotyping at its worst to claim that all Russians are perfect prototypes of the characters by Dostoevsky. But there is no escaping the fact that some do look just that. It will come as no surprise to me if in the future a new term appears to nickname an ever-moody introverted type of personality – a Russian. The complaint I have heard most from my foreign friends is how no-one smiles at you in the streets or public places in Russia. Up to now I have had this explanation at hand: life is tough there, and so are the people. With time, however, I have come to realise this excuse is no longer good enough. Now my rebuttal is: well, why would they be smiling at you, a stranger? Why would anyone be smiling at all – for no reason? It becomes evident, by comparing the Russian and Western cultures, what totally different approaches we take to the notions of social etiquette and public conduct. The general Russian approach is dead simple: if you don’t feel good, don’t mock it. 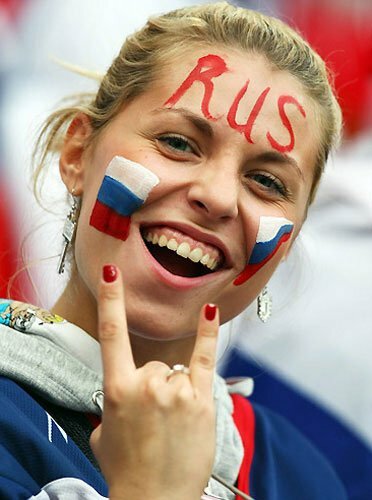 There is nothing worse than a ‘fake smile’, of which we, Russians, often accuse Europeans. And why it is that Russians don’t feel good most of the time is a different story. If Russia’s size and climatic conditions are anything to go by, then Russians have every right to be moody. With nine time zones, Russia is the only country in the world that never sleeps. Add to that the minimum of 5 months of very cold weather per year (the figures grows as you move further east) and unpredictably hot summers with occasional wood and peat bog fires (as the ‘Moscow blight’ of 2010 when the capital and all of Central Russia were in smoke for weeks) and the mystery stands explained. Joking aside, more than anything, the Russian faces bear signs of preoccupation and constant brooding, but not hostility. The trick is, though, to get past those KGB style Border Control officers in Moscow and St Petersburg, for they are notoriously sulky and make one feel rather unwelcome. I can’t help feeling somewhat down-hearted every time I fly home. Their annoyed look and contemptuous manner can wipe the smile off anyone’s face. Apart from that, Russians can be very nice and friendly, especially if they see they can be of some help. It is not typical for Russians to converse freely in foreign tongues, unless they are studying to become diplomats or working in tourism or the hospitality industry. That is why, when out in the streets in Russia, you are really on your own and stopping passers-by for anything is probably never a good idea. If you yourself get stopped and addressed in Russian in the street (which should never happen if you dress like a tourist and not an ordinary Russian – the difference is felt instantly), don’t panic, keep on walking. Trying to showcase some knowledge of your pocket phrase-book (like the popular Ya ni gavaryu paruski) may trigger a further inquest. I am not sure how the situation is in Moscow, but five or six years ago in St Petersburg foreign tourists would often get stopped by Militia (recently re-named Policia) for an identity check. This happened twice to me back in my university days when I was showing a group of our exchange students around downtown. On one occasion we managed to get off lightly, by only showing the foreign student’s passport copies. Another time, however, the Militia man requested he saw the students’ registration cards which they had left at home. So we had to pay him off to go away. Registration cards are a must for foreigners staying in major Russian cities and are usually provided and filled in at hotel reception. Of course, the Militia men would only approach foreign tourists if there was a Russian speaking person amongst them, as they themselves speak no English. And trust me - they know how to spot a fellow compatriot! Some time ago I went online for a nice e-card to send to my cousin who had had a baby boy a couple of days before. The right card found, I realised I couldn’t stop browsing for e-cards because what I saw was beyond any of my wildest flights of imagination. Why would a nation want to highlight the Earth Radius Day or the Summer Solstice Day? Consumer Industry Day or Housewife Day (not to be confused with Women’s Day, March 8th, though. Women do need all the pampering they can get); Oceans’ Day, Inventor’s Day, Drought Control Day, Birthday of Tetris Day, Battling Against Alcohol Abuse Day (which is more of succumbing to it, really, than fighting it off) and the sacramental End-of-Year-Exams Day, and many more! 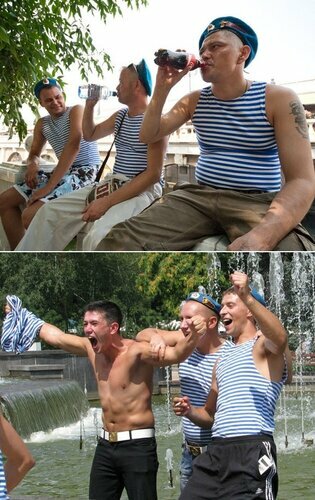 Russians do like their holidays. And although very few of those are real days-off, people can’t help feeling the celebration vibe. Hence, the abundance of e-cards to satisfy any taste. Going back to real holidays, one in particular deserves mentioning and marking as a ‘stay in’ date on your travel itineraries. Denj VDV, August 2nd (Day of Airborne Forces) – one of the most popular Russian Army holidays after Victory Day, May 9th, and Russian Army Day, February 23rd. Denj VDV is supposed to be celebrated only by those who served in the Parachute Corps during their army days. 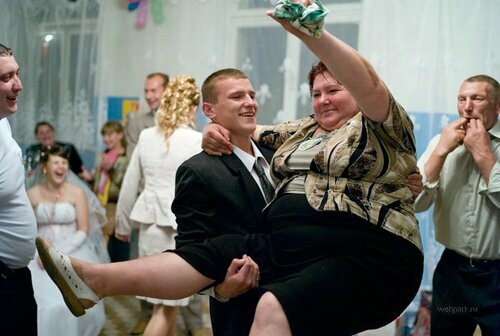 But judging by the celebration swing, it looks like half of the male population of Russian are affected. The mass open-air parties take place in parks and squares, getting to the streets by night time, featuring men in blue berets and striped vests drinking, singing songs, fighting, bathing in fountains and misbehaving in every way, thus making it rather unsafe and unpleasant to be around. New Year holds a special place in the heart of every Russian person. 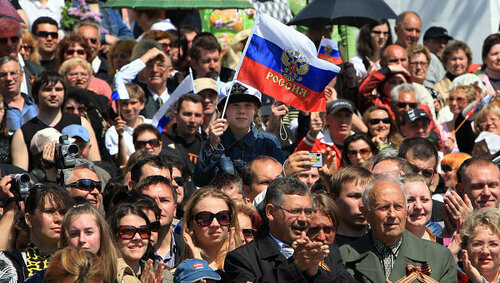 No other Russian holiday is quite so awaited and prepared for and has so many traditions linked to it. In fervently observing those traditions the Russians can beat even the English hands down. For example, what other nation has its own national New Year’s movie that has been shown on every New Year’s Eve for 36 years (first appeared on TV on January 1st, 1976) - and on every single national TV channel? The Russians do. 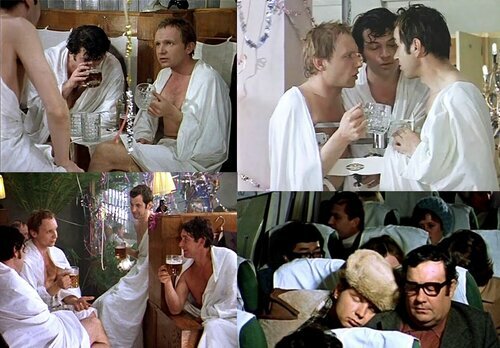 It’s a comedy film ‘Ironiya Sudby ili s legkim parom’ (The Irony of Fate or Enjoy Your Steam) – a story of four friends that have a tradition of meeting up in a public Banya (Russian Bath house) every December 31st for a round of New Year’s drinks. And on one particular meet-up they get so drunk they forget which of the four is flying from Moscow to Leningrad later that night. Naturally enough, the wrong person ends up on board the plane and all sorts of comical situations follow. If you want to know what Russians are all about, drunk and sober, watch this movie. But, perhaps, the best example of the mysterious Russian soul and its love for all things unmatchable is Russia’s second favourite holiday after the New Year - Old New Year (an informal Orthodox holiday, celebrated as the start of the New Year by the Julian calendar. In the 20th and 21st centuries, the Old New Year falls on January 14 in the Gregorian calendar, 13 days after its New Year on January 13-14). It is fair to say that this holiday is a logical development of the former and the last desperate attempt to finish all the food prepared for New Year’s Eve and the Russian Orthodox Christmas (January 6th). On reflection, I am not surprised Putin won this year’s presidential campaign: the country that celebrates Old New Year may well have an old new President! If vodka and blinis didn’t exist, the title of Russia’s specialities would go to mayonnaise and Smetana (crÃ¨me fraiche). 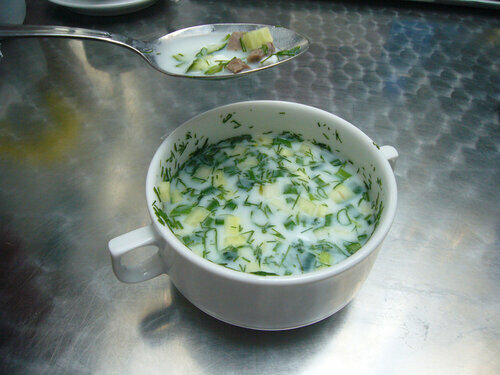 Although among all dressings used in Russia, they are specialities on their own. Russians are crazy about mayo and put it into virtually every salad they make. All New Year’s dishes must have mayo in them, one way or another, Russians also enjoy it in soups, in their main courses and even on bread – with or without other ingredients. If you think nothing could be more basic than an egg & mayo sandwich, you’re in for a gastronomic shock in Russia! Smetana is more popular as a salad dressing for summer. No blinis are complete without it. The only explanation I have for the popularity of these too rather fatty dressings is that they are cheaper than sunflower oil, to say nothing of olive oil. The average price for a bottle of extra virgin olive oil in Russia varies from 250 to 350 Rub (current exchange rate being 1.00 GBP = 47.1044 RUB), sometimes more – depending on a retail chain. The prices are OK for London, but for an average middle-class Russian, however, this would not be a regular item on the shopping list. But where smetana and mayo are really irreplaceable is in Okroshka – Russian cold ‘summer soup’ (made with kvass, sausage, tinned peas and green onions). The idea is similar to that of the Spanish gazpacho, only okroshka is not pureed and looks like a normal chunky soup, only cold. 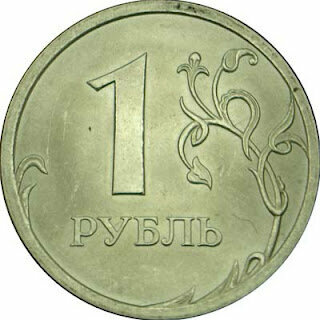 The Russian currency – Rouble – is the worst one to go abroad with. Firstly, no one wants to take it and, secondly, the exchange rate is somehow always unfavourable. That is why all Russians travel abroad with either US Dollars or Euros, which they procure in Russia in advance. By the same token, there are currencies that you don’t want to take to Russia with you, and one of them is – funnily enough – Pound Sterling. The problem I always had with British money while living back home was that when I wanted to buy some, they never seemed to have enough of it at currency exchange points in St Petersburg. It would have to be ordered for me to be collected in a few days’ time. A real nightmare when you have left purchasing of a foreign currency to the very last minute. Now when I go back home from the UK, I am faced with yet another problem – they don’t want to take Pound Sterling, because it isn’t a popular currency! And they have this rather annoying procedure in place in Russian banks of checking every single note for damage and if a note has something written on it in ink – let alone being slightly torn at the sides - they reject it! I found that out too late once, when all the money I had brought to spend at home was a thick pile of twenty-pound notes of which they only accepted five, giving me the amount in Roubles equivalent to just a £100. I thought it was a joke. I was livid. Lately, I have been using my visa card in Russia, but only to withdraw local money from ATMs, as the notion of card payments is only just beginning to make its way to our country. Most retailers only take cash, so unless you are planning to shop solely in hotels and up-market boutiques, you want to have cash on you. But do bring US Dollars or Euros– these are Russia’s favourite currencies.